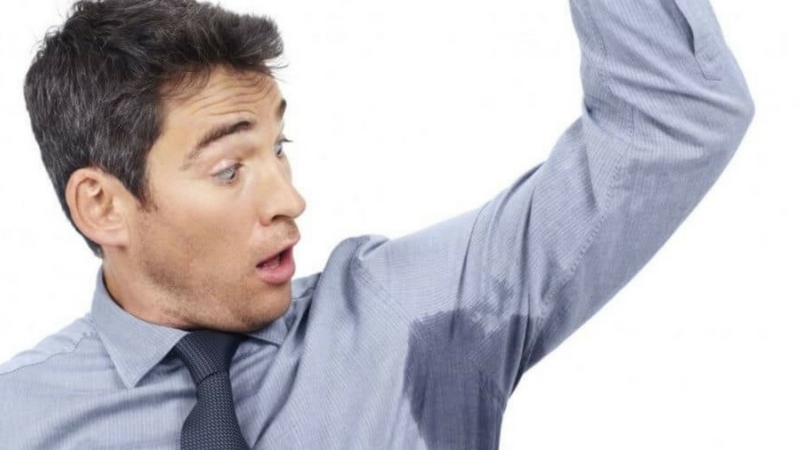 It is no unknown fact that the biggest drawback of sweating is the embarrassing underarm sweat marks on your clothes. You can dry off the sweat from your hands and feet and wipe it off from your face and head. But the stains of underarm sweat remain as to tell the humiliating tale of your excessive sweating in the armpits. Instead of wasting your money and energy on failed methods, it is high time you invest in a sweat proof undershirt to tackle excessive sweat. 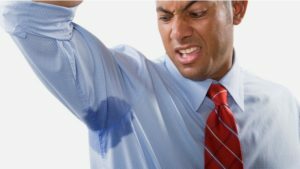 Underarm sweat is a common occurrence amid all, apart from being a regular affair for hyperhidrosis patients. Research has proven that excessive sweating in the armpits happens to everyone once in a while. Sweating is a natural activity, after all. It only gets disastrous when the sweat begins to show on your clothing and blots it with repelling sweat marks. These wet patches of sweat can cost you gravely. A stain or mark of sweat is improper for your outfit and adversely impacts your public image. In the case of workplace meetings, sweating and stains are a real bummer. Similar can be the case for a date with a special someone. The problem is even more severe if you are an athlete or a fitness trainer. Underarm sweat can potentially ruin some special moments of your life alongside harming your routine lifestyle. These real-life problems have given us the incentive to create our anti-sweat undershirts. These are designed and developed with special technology to give you the ultimate remedy for your armpit marks. 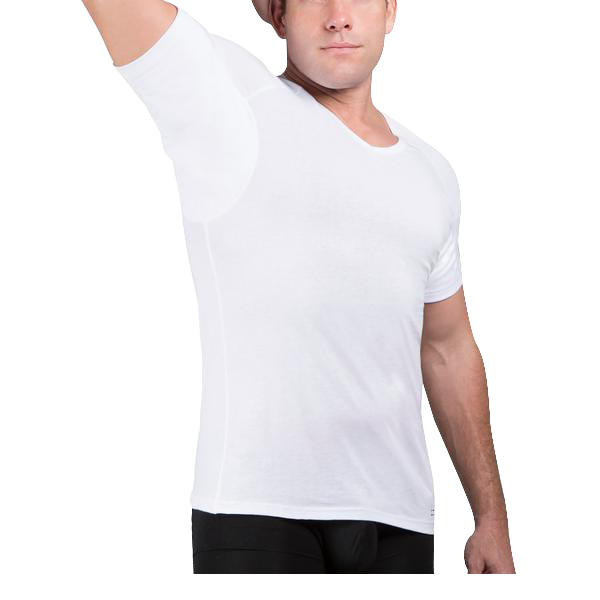 Unlike ordinary undershirts, our products involve the use of advanced means to produce amazing results. It is a proven scientific solution in the form of a tee to rid you of your ugly sweat marks. What Makes The NG Wear Tee Stand Out? We are introducing you to India’s first ever sweat resistant undershirts with promised results for your lifestyle. It can be really difficult to deal with uncontrolled sweating on a routine basis. The situation is worsened when the sweat leaves marks at places like underarms. Our undershirt offers you the best solution. Built with a combination of comfort and style, NG Wear’s sweatshirts prevent staining of your clothes alongside odor control. With its strong absorptive quality, it gives you the edge of staying fresh and confident all day while offering suitable breathability. While other brands bring you their temporary sweatproof products, we have our tried, tested, and guaranteed sweat proof undershirts. Our shirts are made with 4 thin layers of clothing and you get the definitive dry experience with it. Their micro modal fabric gives them the strength to absorb all sweat for a long duration. These two features combine to provide you with a dry and sweat-free day. You can totally leave your worries about any sweat marks. In addition to this, our anti –sweat undershirts contain spandex. It adds to their stretching capacity and fitness. How Does the NG Wear Tee Tackle Underarm Sweat? We have used innovative technology to make our shirts the best in the market. Their efficient build-up prevents sweating along with stabilizing your body temperature in situations of excessive heat. The fabric has silver attached to its fabric. This is beneficial in keeping your body temperature high during cold weather and low during hot days. The fabric is not just ultra-stylish but also ultra-soft and ultra-thin. Its low weight fabric is waterproof and comforting, aimed at decreasing your sweat levels and reducing the consequent staining. It is skin-friendly as well as fit-sized. NG Wear sweat proof undershirts are crafted with utmost care and sureness. Their quality is unmatchable in the current market. You get a tee that brings you several benefits for a long period of time. In case you think your underarm sweat will harm the shirt’s quality, you are wrong. The fabric for these undershirts will serve the test of time and guarantees a long life. You can wash these shirts in machines and put them in dryers without any fear. Their manufacturing enables them to fight odor, wetness, and continuous washing for your comfort. With these advanced capabilities and supreme comfort, it is time that you invest your money in these sweat proof undershirts. Forget worrying about your underarm sweat level and marks. 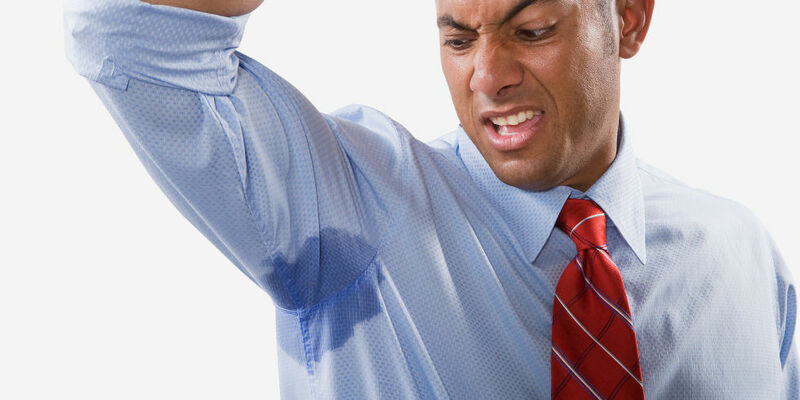 With the NG Wear undershirts, armpit marks of sweat are a thing of the bygone days. Stay confident and fresh with this technologically designed undershirt. Read here to know about the ways to deal with yellow stains on your clothes.